A newly formed information technology and systems consulting business needed a comprehensive identity system developed. The icon was rendered to show the dynamic nature of connecting individual pieces of information in a digital context; they were rendered in bricks for the reference to the company name. A proposed identity redesign as part of consulting efforts to Lilypond USA, this identity aims to target a fresh, modern woman who is equally comfortable in the city scene and countryside. As the main application of this logo is embroidered onto their products, the logo was designed for crisp legibility at a small size, while still being able to carry over to marketing pieces, web, and more. TurnKey Solutions, a software developer based in the Denver Metro area, had a new logo designed by their web development firm. 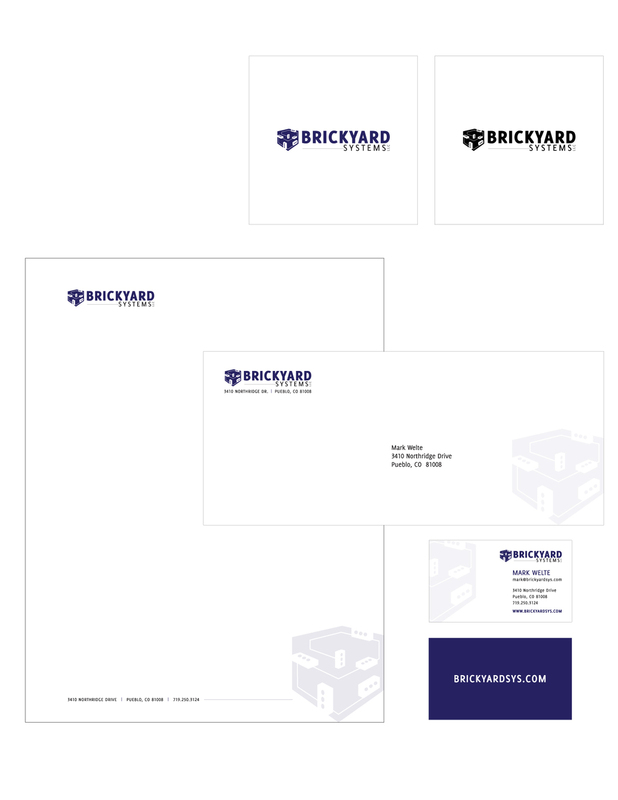 They then needed the identity applied to new business cards, letterheads, and powerpoint templates. Therefore, a variety of simple visual elements were created and manipulated across all formats to reflect their crisp color scheme as well as their technological focus.